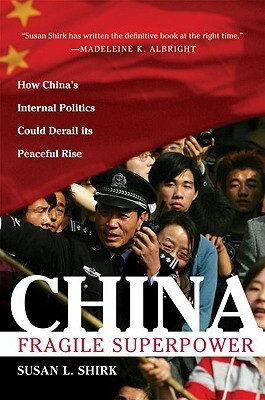 James F. Paradise reviews the book for AsiaMedia, May 2007. This review was originally published by AsiaMedia on May 01, 2007. Republished by permission. 336 pages: Oxford University Press, 2007. US$27. There are two major problems with American media coverage, especially television coverage, of foreign affairs. One is that there is little attempt to understand the context in which events occur. Events are presented as if they arose out of a vacuum, unconnected to other events and independent of any discernible reasons or causes. There is little interest in investigating whether events are part of a broader fabric -- an action-reaction dynamic that is so characteristic of international relations. Iran's capture of British sailors and marines might be one example of this (to the extent that Iran's actions were the result of foreign provocations), the escalating violence in Iraq another. At the very least, one would think that it is appropriate to ask whether there is a connection between the surge of violence in Iraq and the surge of American troops. The other problem (and this is certainly not true of all American media lest I be accused of caricature) is that there is very little effort in investigating the domestic forces that drive foreign policy. One can read or view an account of a major foreign policy event and have little understanding of what factors within the state (elite competition, bureaucratic politics, grassroots pressures and so on) were responsible for it. Part of this is due to the extreme difficulty in figuring out how a country's domestic politics work (a problem more serious in closed societies), but another part also seems to be the result of a happiness to keep coverage of events to the descriptive level. Susan L. Shirk goes a long way to overcoming both of these problems (especially the latter) in regards to China. In her new book, China: Fragile Superpower, Shirk, a professor at University of California, San Diego's Graduate School of International Relations and Pacific Studies, offers an in-depth analysis of the major forces that drive Chinese politics. Her argument is that China's political leaders feel insecure and threatened, and that because of the fragile internal political order there could be war between the United States and China if relations between the two countries and others are not properly managed. "The weak legitimacy of the Communist Party and its leaders' sense of vulnerability could cause China to behave rashly in a crisis involving Japan or Taiwan, and bring it into a military conflict with the United States," she writes. According to Shirk, there are a number of dangers that China's political leaders have to contend with: the possibility of protectionism in the United States, large economic inequalities at home, unemployment of industrial workers, rural unrest, disgust with government corruption, the disintegration of China's state-run health care system and pollution. There is also the need for politicians to keep good relations with the People's Liberation Army, a factor that could partially account for the generous military budgets of recent years. One of the biggest potential dangers, however, is nationalism. While nationalism is used as a device to give legitimacy to the Communist Party (along with commercialization and economic growth), it could also be turned against the Party. China's political leaders feel they cannot be too "soft" on Japan (with whom China harbors a particular historical grudge), worry that "losing" Taiwan could be the death knell for the regime and have a tricky balancing act with the United States, who many feel is out to thwart China's rise while being a critical component in China's economic modernization drive. In the face of all these pressures, China's political leaders feel the need to exercise a heavy political hand. Shirk throws light on recent political events in quoting a former provincial Party head: "The Party's authority is gradually declining, and as a result, [Chinese President] Hu [Jintao] is less confident and more insecure than the leaders before him. When a leader feels insecure, he tightens controls." Shirk also gives attention to analyzing the media. She notes that the Communist Party still has a lot of control in determining the content of print and television news and points to heavy government censorship of the Internet. But she says it is becoming more difficult to control information with media commercialization and new communication technologies. She says that these media industry developments could help facilitate the emergence of a political opposition in China. One of the great strengths of Shirk's book is its intimate accounts of the events it describes, often told through personal experience. As a former Deputy Assistant Secretary of State during the Clinton administration, Shirk uses phrases such as "Mainland experts privately admitted," "Chinese officials told me" and "When I traveled to China." Shirk also tells some stories, such as the issue of a possible deployment of a U.S. theater missile defense system to protect Taiwan, from the Chinese point of view. This potential deployment, she says, was worrying to leaders in China because it might embolden Taiwan "to act provocatively." The book is also praiseworthy for explaining some of the international dynamics that are causing China to act the way it does. In describing China National Offshore Oil Corporation's unsuccessful attempt to buy Union Oil Company of California (Unocal) because of political or other opposition in the United States, she argues that China is beginning to view energy competition in geopolitical terms rather than commercial terms. The basic question about Shirk's argument, however, is whether China is really as fragile as she makes it out to be. Shirk does not boldly predict that the Communist Party is going to collapse or that the authoritarian regime is in danger of being undermined. But her analysis does point in this direction, and she indicates that leaders fear such possibilities. To avoid such a fate, Shirk mentions a number of strategies that the Chinese Communist Party might use to survive such as co-optation of opposition leaders, increasing freedom or, alternatively, increasing repression. She also notes that the authoritarian regime's longevity might be enhanced if it encouraged a less xenophobic nationalism, created a role for private business interests in foreign policy making, eased restraints on the media, increased civilian control of the military and started direct talks with Taiwan. Apart from these measures, however, the question is whether China is as brittle as Shirk suggests or whether its authoritarianism is highly, or at least moderately, resilient. "I expect the PRC's right populist authoritarianism to be very stable, even if the regime is struck by downturns in business cycles or the bursting of real estate bubbles," said Edward Friedman, a political science professor at the University of Wisconsin in a paper presented on the campus of the University of Southern California at the recent inaugural conference of the USC U.S.-China Institute. Andrew J. Nathan, a professor of Political Science at Columbia University, said at the conference that a survey project (www.asianbarometer.org), with which he has been associated, found that popular support for the Chinese regime was one of the highest in Asia, even higher than that for many democratic regimes in the region. One of the difficulties in predicting the political future of China is knowing how trends such as globalization and commercialization will play out in China. It is also hard to say whether nationalism will work to the benefit of the regime or to its detriment. Will it help to create a strong government oppositionist movement (analogous to what happened during the Qing Dynasty and with the Republic of China), as Shirk says is possible, or will it provide a unifying force in the face of foreign threats that helps to give the government new legitimacy? Another wild card is the media. The media has the potential for eroding authoritarianism in China and fostering regime change, but in recent years, during the period of commercialization and the Internet, the government and party have shown themselves to be tremendously resourceful in maintaining control. Add to this the fact that the Internet is used largely as a game machine and for entertainment purposes in China -- according to a presentation at the USC conference by Guo Liang, a professor from the Chinese Academy of Social Sciences -- and the outlook is less clear. The optimistic scenario, for those wedded to Western democratic models, is that political reform will follow economic reform as happened in places such as Taiwan and South Korea. But maybe the choice is not between Western democracy and Chinese authoritarianism, but between an inflexible authoritarian system and one which is more open. Already the Chinese political system has changed to some extent from the Mao period, arguably becoming more accountable, and will likely continue to change, though in a way consistent with Chinese values. Whoever is right about China's political future, one thing is clear: Shirk has done a great service in helping to focus attention on Chinese politics and to warn that if the United States does not successfully adjust to China's rise -- which requires engaging in a partnership with China -- there could be serious implications. James F. Paradise is an AsiaMedia writer and advisor. He has more than a decade of experience reporting from Asia and is currently researching China’s participation in the World Trade Organization. AsiaMedia provides daily coverage of media trends and policies.